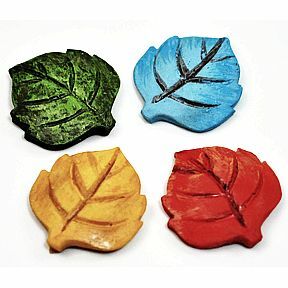 4 pc set of mini leaf shaped stepping stone. Garden décor. Woodland World. The forest is enchanted and the gnomes are at work. Experience the magic of a MiniWorld Garden. Approx. Dimensions: 1" x 0.2" x 1"